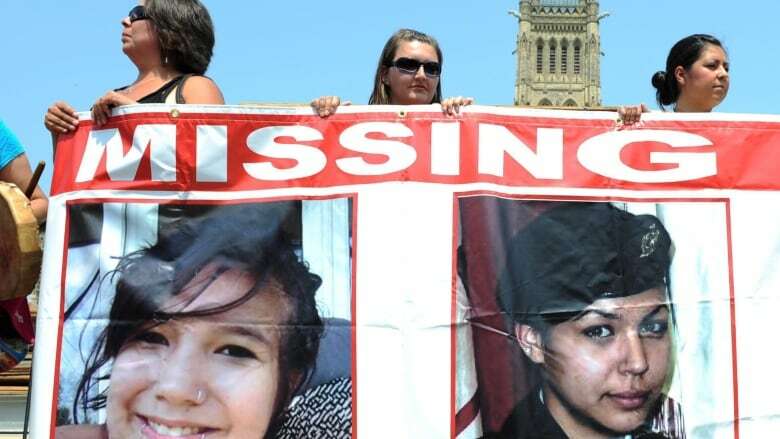 The Conservative government is resisting renewed calls for an inquiry into murdered and missing aboriginal women and girls despite a media report that suggests there may be hundreds more cases than previously thought. Public Safety Minister Steven Blaney was asked Thursday to finally call a inquiry in light of a report by the Aboriginal Peoples Television Network that Canada may be home to close to 1,200 cases of murdered and missing women. His answer, in short: no. Instead, Blaney launched a partisan broadside against the NDP's refusal to support the government's budget bill, which includes a five-year, $25-million renewal of money aimed at stopping violence against aboriginal women and girls. "As a father, I'm very proud to have supported more than 30 measures to keep our streets safer, including tougher sentencing for murder, sexual assault and kidnapping," Blaney said during question period. "And Mr. Speaker, I will stand in this house and support the $25-million strategy for aboriginal and missing, murdered women." Liberal MP Carolyn Bennett questioned how the Conservatives can continue to resist an inquiry in the face of so many unresolved cases. "This media report says the government's own numbers show nearly a doubling of known victims of what was already a national tragedy," she said in a statement. "How can a government that refuses to call a national inquiry, in the face of these shocking statistics, claim that they are tough on crime or supportive of victims?" The broadcaster cited an unnamed source Wednesday in a report that said the Mounties have now identified about 1,000 cases of missing or murdered aboriginal women and girls — significantly more than previous estimates, which had pegged the tally at more than 600. On Thursday, APTN reported that the number was even higher, citing 1,186 cases. The RCMP arrived at the new number after contacting more than 200 other police forces across the country, APTN reported. The Mounties initially refused to either confirm or deny the report but, according to the Toronto Star, RCMP Commissioner Bob Paulson later confirmed APTN's figure to reporters outside a meeting of the public safety committee in Ottawa. Paulson said the RCMP's review of police files had found more than 1,000 cases of murdered aboriginal women and girls dating back 30 years, along with another 186 cases of disappearances, the majority of which are suspected to involve foul play, the Star reported. Supt. Tyler Bates, director of national aboriginal policing and crime prevention services, referred questions to the RCMP's media relations office in Ottawa. Spokeswoman Sgt. Julie Gagnon said the RCMP report is not finalized and it would be premature for her to comment further. "The RCMP is currently completing a national operational review to gain the most accurate account to date of missing and murdered aboriginal women in Canada," Gagnon wrote in an email. "This initiative will help the RCMP and its partners identify the risk and vulnerability factors associated with missing and murdered aboriginal women to guide us in the development of future prevention, intervention and enforcement policies and initiatives with the intent of reducing violence against aboriginal women and girls." The APTN report also said the Department of Public Safety is sitting on a copy of the RCMP report, which the network says was supposed to come out March 31. Public Safety has yet to respond to questions. 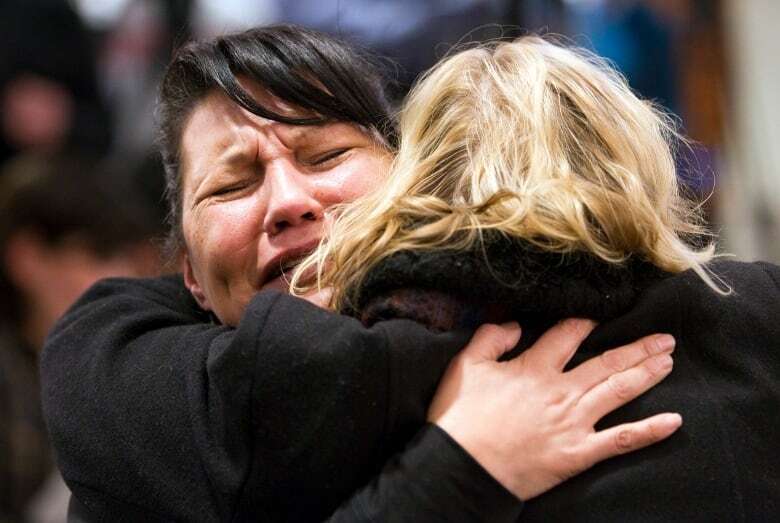 Earlier this year, the RCMP said it completed a "comprehensive file review" of more than 400 murdered and missing aboriginal women and girls within its jurisdiction, and would keep looking into other outstanding cases. Briefing notes obtained by The Canadian Press under the Access to Information Act show the national police force has reviewed 327 homicide files and 90 missing-persons cases involving aboriginal females. The Native Women's Association of Canada has said it is aware of even more cases of murdered and missing aboriginal women and girls than the RCMP tally. President Michele Audette said her association is now looking into whether it would be feasible or possible to take the federal government to court to try to force a national inquiry. "There's little bees at the office trying to find out if it's possible. If it is, I think we should challenge," Audette said in an interview. "It's a human-rights issue. We do it for salmon. We do it for corruption ... how come we don't have the same thing for missing and murdered aboriginal women?" It has long been estimated that there are hundreds of cases of missing and murdered aboriginal women dating back to the 1960s. A United Nations human rights investigator called that statistic disturbing last year during a fact-finding visit to Canada in which he also urged the Conservative government to hold an inquiry. James Anaya, the UN special rapporteur on the rights of indigenous peoples, said a national inquiry would ensure a co-ordinated response to the problem and allow the families of victims to be heard.